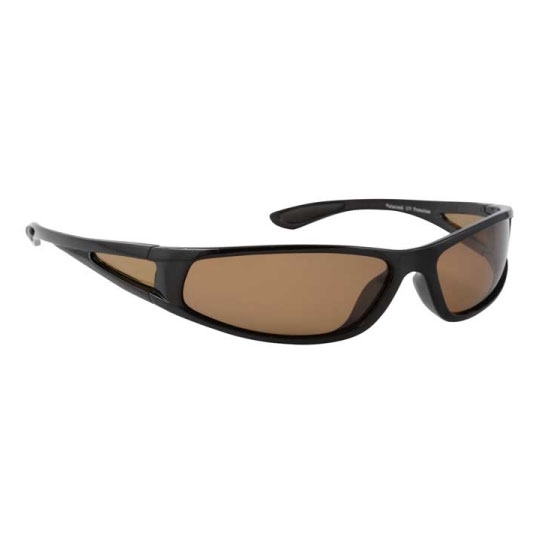 Ultra lightweight Black wrap around frames with a quality 0.75mm Polyethylene Polarised lens. Polarised side panels built into the frame arms cut glare from peripheral light. Rubberised frame arm pads provide additional grip. Available in Smoke or Amber lens tint. Complete with neoprene Sunglass case. Nice Comfortable cheap pair of sunglasses, Plus I look Damn cool in them.